Television producer ("Grey's Anatomy," "Scandal"), screenwriter, and author Shonda Rhimes and world-renowned architect Sir David Adjaye sit down with director of the Studio Museum in Harlem, Thelma Golden, to discuss their unique approaches to storytelling and forging cultural narratives that pave the way for future creatives. Shonda Rhimes, Creator, "Grey's Anatomy" and "Scandal"
Shonda Rhimes is the prolific writer, executive producer and creator of the hit ABC series "Grey's Anatomy," and "Scandal." She is the recipient of numerous awards, including a Golden Globe for Outstanding Television Drama, the Peabody Award, a Television Producer of the Year award by the Producers Guild of America, a Writers Guild Award for Best New Series, a GLAAD Media Award, as well as numerous AFI Awards for Television Program of the Year and an unprecedented number of NAACP Image Awards. In addition, she has twice been included in TIME Magazine's 100 list of the most influential people along with Fortune Magazine's "50 Most Powerful Women in Business," and Glamour Magazine's "Women of the year." 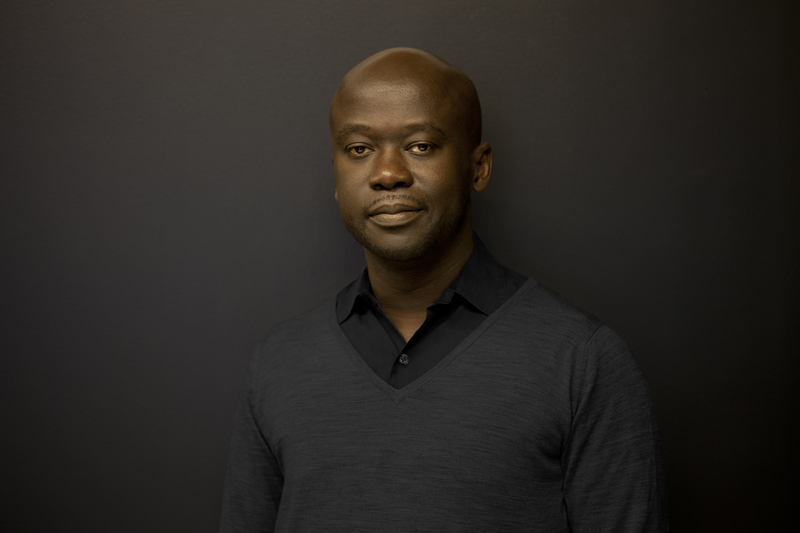 David Adjaye , Principal and Founder, "Adjaye Associates"
Sir David Adjaye OBE is the principal and founder of Adjaye Associates. Born in Tanzania to Ghanian parents, his broadly ranging influences, ingenious use of materials and sculptural ability have established him as an architect with an artist's sensibility and vision. His largest project to date, the $540 million Smithsonian Institute National Museum of African American History and Culture, opened on the National Mall in Washington DC in fall of 2016 and was named Cultural Event of the Year by the New York Times. In 2017, he was knighted by Queen Elizabeth II and was recognized as one of the 100 most influential people of the year by TIME Magazine. [00:00:16] Thelma: To both of you. Hello. [00:00:18] Thelma: I am thrilled to be getting this chance to talk to both of you, today, about story telling. In so many ways, it might seem like an odd way to enter into the respective conversation between you two. Shonda, of course, who is a story teller, names, that is the way she defines herself, but, David, as an architect, someone invested in the narrative of built space, it felt to me like this could be an incredible way to explore the possibilities. Can you both, let's begin by talking about what story telling means to you and how it impacts your sense of yourself as a creative professional? David. [00:00:58] David: Thank you, Thelma. Story telling is profoundly important to me. From the way in which I was told stories as a young boy by my mother, specifically, but in a way, for me, I've grown and gravitated towards stories in the built environment as a way to try and make sense of, trying to make meaning in the things we do now and trying to place things within a context that allows people to read the built environment like stories. That they are not just stuff built that happens to be inhabitable use, but they are things that actually can also be read like a book if you wish to engage it, but, in part, a kind of narrative and, maybe speaks about who we are as people in the world in this time. [00:01:50] Thelma: Yes, thank you. [00:01:52] Shonda: I think that's great, because I agree with that. For me everything is always been placed in a narrative. I remember from the time I was young, everything has always been, somebody would talk about something or something would happen and I was already figuring out what story I would tell about it or how it would be when I told it to somebody later. There's always a story involved in everything. It gave life an order and a way of calming the chaos to things for me. It also helped me to understand the world as it was happening because once you can tell a story about it, you have an understanding of it. [00:02:24] Thelma: Often when I talk to artists, I ask them when did they know they were an artist and, in this way, it seems to me that talks with both of you, I'm curious when you knew you would become who you are now or another way to say that might be, when did you find your voice? [00:02:43] David: Wow. [chuckles] I romantically think I'm still finding my voice. [chuckles] I think that I knew that I wanted to pursue working in the built environment probably in my late, late teens, 19, 20, and I think when I realized that architecture had this incredible ability to define different geographies from places and different cultures and having had that wonderful upbringing with my family where my father took us to the most extraordinary places and when I finally came back to realizing that maybe that was something that I wanted pursue as a career, it all made sense at that time. I was completely confused until that time. It made sense to go back to the things that were very primary to me, the stories, the places, et cetera. [00:03:39] Shonda: I think I knew I was a writer from the time I was four and telling stories into a tape recorder and then forcing my mother to type them up. [00:04:24] Thelma: What were those early stories about Shonda, that you were writing at four years old? [00:04:29] Shonda: They were usually about people in the neighborhood. I had a whole thing going about the cul-de-sac I lived on and what was really happening behind other people's doors. At four, it was all very innocent, but it was pretty intense. [00:04:49] Thelma: David, you've mentioned that you had an incredible childhood where you lived in many places around the world before settling in London. Your parents, of course, born in Ghana, you born in Tanzania and then traveling after that based on your father's job. What were some early inspirations for your work now that came from that experience? [00:05:15] David: I think that, I didn't realize it, but I think very early on, having to experience very different climatic places, very hot equatorial places, right to the forests, being on the coast, experiencing multiculturalism very early. Tanzania's a huge [unintelligible 00:05:37] of Sikhs and Hindus, Muslims and Christians and it's a huge melting pot. I had an incredible opportunity to be in Egypt when I was very young and seeing the pyramids as a very young boy was profound and visiting the sites. Even going to the Middle East, in Lebanon before the war, and seeing how that kind of modern world was opening before coming to Europe and then also exploring Europe. I think all that, when I was young, I loathed it, I thought, "My god, I just want to be in one place and I just want to." Now, I kiss my mother's feet every time, "Thank you for moving us around." [00:06:19] Thelma: Yes, for that experience. Shonda, you were a very early and voracious reader. What were some of the early books that you read that informed who you've become? [00:06:32] Shonda: I was the kid who would go to the library and clear the shelves of the new book section into a giant bag and take it home on a weekly basis. I couldn't possibly tell you one or two books. I loved reading anything I could get my hands on and what my parents did for me, we didn't get to travel a lot, I was the youngest of six, there wasn't a ton of money and I was the person who was like, "Why can't we go some place? How're we going to get out of here, how are we going to get out of here?" I would look things, but seriously, I would look things up and go back to reading and it was fantastic. [00:07:36] Thelma: Incredible. David, I think all of us live in built spaces but the creative process that goes into thinking about a building, seems mysterious. What's the first step in your creative process? [00:07:52] David: Oh my gosh, you spend eight years training as an architect and you're very capable and I always say with my team that our first job is actually to resist any reaction for making anything. I have a lot of time for this idea that you have to really, almost like an actor, you have to get into the character and what I mean by that is that you have to absorb information and you have to listen and really get to the point where you almost are able to be that brief or be that project before you start drawing. In a way for me, excavating where I am or what I've been doing and then moving into what I need to become, is really profoundly important and I do it to my team. When we have young students come and join us, they're desperate to draw and they're really keen and we're, "No, it's about information." We go for the technique and where I have researchers and they talk to the team, we have a bringing together of information and then discussions and then from there a lot of drawing then starts to happen. I think that that starts to allow the conscious mind and the subconscious mind to unearth things and then there's an analysis of that, pinned up and this debate to discuss it and then it's uncovered and what you find is it's layered and you find the stories within what you've absorbed. It's really using the body as an absorption tool to learn and then reflect out. Maybe that's the way describe it. [00:09:25] Thelma: Shonda, your process. [00:09:27] Shonda: When I first get an idea and it's usually comes as either and image or some line of dialog. I let it stick with me and I immediately think that this is a show. Now, everything is not a show, but I immediately think this is a show and I let it sit with me and sometimes it grows and sometimes it doesn't, sometimes more images join it and more story lines join in and a character pops in. I don't usually talk about it with a lot of people. I wait until I can explain what it is and you have to be careful because you explain what it is to somebody and they go, "Mmm." Somehow they poisoned your idea and you feel a little broken about that. I spent a lot of time waiting until it feels it's percolating and then I start trying to write down some ideas, some scenes, some characters, some thoughts. That's just a collage of junk for a while, but I never put pen to paper to really write the script or to make the story happen or to write my book or anything until I really know what I'm going to write and then the writing is quick. Sometimes it can take a year of me thinking and then I write a script in three days, but it's never I took six months to write this script or I took six months to write this book. It's all happening inside my brain. [00:10:44] Thelma: How do you know? When do you know? [00:10:47] Shonda: There's a moment when I can't not talk about it anymore and I can't not right about him anymore, and I'm sitting in story meetings for other things and I'm thinking, why am I talking about this when I'm supposed to be doing that. My brain is just, I don't know, excited to tell that story. [00:11:09] Thelma: When you're thinking about designing a building do you see it fully realized first? [00:11:15] David: No, it's funny, it's interesting to hear you talk Shonda, because it is also an image or a feeling for me. It's something that I have a strong gravitate towards and then in a way there's a mental sculpting I scratched and unveiled the image and to make it clearer. Sketching for me is really scratching away at the image to give it more clarity and then when it's clear, it's really compelling, as you said, it's just you can't let it go. It doesn't let go of you and you've got to just talk about it and you've got like present it. [00:11:50] Thelma: It would be unfair to not consider the possibility that both of you have been incredibly important in shifting the idea of your respective fields. You live within the context of what you do in architecture, in television, in writing in ways that have changed for many people, its sense of possibility. You also have both been involved in making work that has an incredible opportunity to change our perceptions of who we are, what we are, how that lives in the world. What does it mean to you to make work that has the opportunity to empower, to inspire, to instigate. David you've talked a lot about how important the built space is for us in society in understanding ourselves, that it's not a neutral environment. What it means, what cities mean, what towns mean, what buildings mean and how we understand that. It feels in your work that you've taken this real passion to empower through architecture incredibly seriously. Can you talk about that then I'm going to ask Shonda after. [00:13:00] David: For me it's the passion and it's the reason. I'm interested in architecture. I think that if it was just about buildings for their own sake, I would not be engaged in it. I also desperately feel that the world is becoming much more complicated, much more dense and that actually the layers of our stories need to be part of the way that we need to see ourselves in the world. I think that seeing ourselves also in the built environment in our representation in the built environment is really important, because I just simply think it empowers in a way that's consciously very important or consciously brain important. A space can edify or can really compress you if you think about a prison or Cathedral, that's what they're doing. One is trying to edify you and lift you and bring you into a kind of existential space and the other one is trying to control you, punish you et cetera. There's no irony that everything that we make has an impact on our psychology. I'm interested in then understanding that context that actually if you're working for communities that don't have that voice, don't have design coming near them. I'm interested in working with communities and I'm interested in working in education in those communities. I do libraries in the most diverse communities that people turn up. I turn up to those presentations and I'm like, "What are you doing here?, and I'm like, "No, these projects are really important to me because this is what I do and what I'm celebrated of doing can maybe have the largest impact. It's of course incredible to do amazing projects on match on the national stage but actually for me seeing that young boy that actually partakes that project and then talks about how that's influenced him is incredibly rewarding and actually is the fuel for going on. [00:14:47] Thelma: Shonda, I want to ask you the same because you've used your platforms to really empower and inspire. You, through the storytelling, have embedded a real sense of possibility of many different narratives. Why is that important to you? [00:15:02] Shonda: I will admit that when I started writing, when I started writing television, it wasn't the foremost thing in my mind. I didn't have an issue thing in my head like I'm going to empower and inspire, I was writing for me. I was writing the shows that I wish had been on television when I was growing up. There were no shows currently on TV that I wanted to watch, where the women were at the center of the story, where there were people of color who were interesting and nothing but the sidekick, more than a sidekick. I wanted to see stories that I wanted to watch. I was writing stories that I wanted to watch. Then it really became clear to me once the show was being cast and I was in the casting room, making decisions and seeing how it was working, how important it was that I was the one in the room making the decisions, because of what a difference it could be. Christina Yang could not have been Christina Yang she could have been Christina Jackson or Johnson or whatever and she could have had long blond hair and been a completely different person and that would have left a whole segment of society out. Dr. Bailey could have been a completely different person and would have left a whole bunch of society out. The chief could have been somebody else, it's very interesting to me how that could have worked and I think about it now and I think about how devastating it could be. I think about standing up in that casting room when we cast Derek shepherd and saying, "I just want to be clear to everybody that my entire cast is not going to be white", and everybody going. "Of course, of course". Me not knowing that that was a thing that really me saying that because I didn't know anything about television. Me not knowing that that was a really rare thing to say in a room. Once that became clear, then it became part of the mission because you start meeting young people who were saying I've never seen a character like that on television before. With Olivia Pope, who's the center of the show scandal, the black woman who's the leader of a television show, who's smart, who's in charge of her world, who obviously has serious problems because she's having an affair with the president. 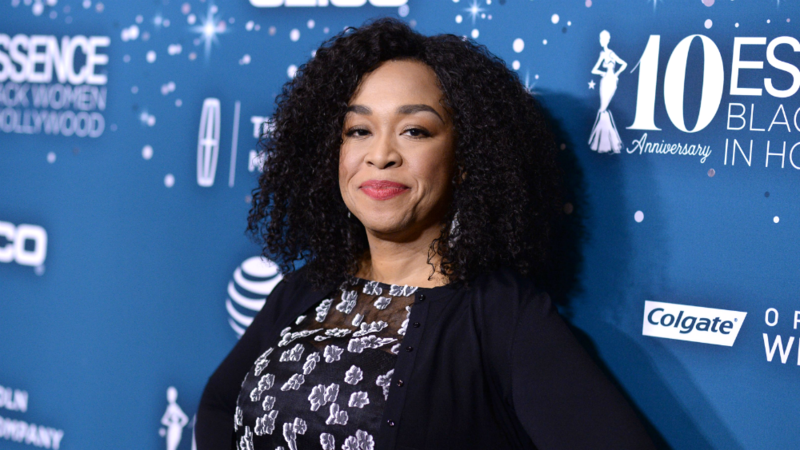 [00:17:15] Shonda: There's that but the amount of power that character had and the amount of conversation it caused and the women who would come up to me and say, "Thank you, that woman looks like me." or the young woman who would say, "I want to be like her." and I'd say, "Not in all the ways". It was really important. [00:17:38] Thelma: I read this but I need to say this out loud. Is it exactly true that before Olivia Pope it had been 37 years? [00:17:46] Shonda: It is exactly true. [00:17:47] Thelma: There had been an African-American woman lead character in a television show? -about this was going to happen. I had made Grey's Anatomy and they gave us seven episodes, 10 episodes sorry. No seven. [00:18:17] Thelma: I would love for both of you to talk about some early professional challenges, because it's so clear that so much of what you've done has been based on thinking about how to create the space for exactly the work that you have seen as being necessary in your field. That at the moment you got that seven episodes, even though I know you imagined a whole world for Grey's Anatomy. What were the challenges that you really pushed aside in order to get to where you are now? [00:18:55] Shonda: For me it was simply about not acknowledging other people's ability to say no and I don't mean that in an arrogant weird way. It was simply I didn't have room for it if I was going to be storytelling. I couldn't have done my job if I spent a lot of time thinking about maybe they're going to tell me I can't do this or maybe they're going to do this to me or they said no about that. That didn't work in my story. I wasn't willing to listen or hear it because it just wouldn't work in my head. Sometimes that doesn't work for people and it's not about being rude about it. It's simply about really staying true to my job. What I was hired for was to tell the story above all else, and if the story had to be told a certain way the story needs to be told a certain way or the audience wasn't going to respond and they weren't going to make any money the network of studio. That felt important to me and I would explain that to them every time and they don't really have an answer for that. [00:19:57] Thelma: David you know it's a little bit of accepted mythology that most architects don't start building until they're well into their 50s, that it takes an entire long career to even get to building ones first building. By the time you were 50, a year ago, you had built over 50 works of built architecture around the world. Unprecedented, and in many ways you are now at a point in your career as an architect where with that base of buildings you now with what we have seen of what you've built in Washington and the projects that are coming, are beginning a next phase in your career to build 50, a hundred, a thousand more buildings perhaps around our world. Can you talk about those first years having opened your office in 2000 as an architect, what it is [unintelligible 00:20:54] 17 years, what have been the challenges towards not just getting buildings built but really being able to move the field of architecture in ways to encompass this vision that you've brought? [00:21:06] David: When I started I knew what I didn't want to do, I think that's one of the guiding compasses that I had. In architecture there's so much that can come at you but I remember a teacher of mine saying something that always stuck with me, that as a creative person, imagine what you do was a canoe at the edge of the ocean and that when you push off the direction that you push the boat is the direction that will define your career. I don't know why he told me that as a young student but it was profound and it echoed in my mind and still echoes in my mind to this day because in a way it is the compass that I use to say yes or no to projects. I basically decided at the very early point in my career that I was only going to do certain kinds of projects, projects [unintelligible 00:21:58] education or culture or empower communities. It was not profitable I was dirt poor and nearly losing my business several times but I was very stubborn to this cause. I felt that if it meant a career that as long as I could build that was important. At the beginning I did anything, I designed sets for singers and people in the music business. I did anything that would empower or bring an image that I could to this lens. What's interesting is that as you go on on that journey I think people start to see you. What was really amazing was that the first six years were incredibly tough because you were just paddling away. Then suddenly you had a body of things and people started to see you and suddenly you would start to be invited to do things and you would start to form associations. Artists were profoundly important for me in the beginning because architecture costs so much money that usually that's why people wait till you're 50, they don't trust you. I'm not giving you a hundred million dollars to do whatever or $10 million or $5 million it's a lot of money, but actually what's been amazing is that artists do trust other creative people and my first projects were by young artists who were becoming incredibly successful and they wanted collaborate with their like-minded peers. I got a lot of my early work through them. I learned my craft, in a way I owe my craft being able to be at this position through that patronage and that engagement. [00:23:54] Thelma: In your everyday work right now both of you are running incredible institutions and they are companies, architectural offices etc but they're institutions, what's creatively fueling you at this very moment? [00:24:14] Shonda: For me, it's the fact that now I have the ability to make space for other women and people of color and young writers to grow, to have their own shows, to have the protection of what I've done to allow them the space to do it without a lot of interference and to help them shape their voice, to help them get to make things it's exciting. [00:24:42] David: For me it's really this opportunity to tell more stories. For me winning for instance the Holocaust Memorial next to the houses of parliament was something I couldn't even dream as a young boy that I could get such a commission. To be entrusted to tell the story of one of the most horrific genocides of our civilization is something that I'm deeply honored to be able to as a person of color to be able to do that. It's deeply inspiring and for me it shows that we're kind of becoming a much more interesting world where we're creating empathees with each other and it's to do with being able to share and understand that common humanity and that's deeply moving right now in the work. [00:25:37] Thelma: I'm interested in the space in which this idea again where we started storytelling but really narrative plays in what it is you ultimately make and it feels like in both cases that you begin in imagined space but you very much are reflecting the world that we're in, you're taking from the world we're in, David in your case and the way in which you are shaping the world by what gets built in it and Shonda the way in which your stories and the way in which you've described you craft them are a reflection on both our reality but also our possibility, talk about this idea of an unimaginative soul and what that means for you as a person who is invested in your work and in this work? [00:26:30] Shonda: Talk about the idea of unimaginative soul that's not a decent question. I don't know, I've always been a person whom a lot of people need social contact and they spend a lot of time in large groups of people and they feed on that and that makes them more energized and feel more creative. I have always lived in my imagination. I've always been a person who I've never understood people who say, "I'm lonely," I've never been lonely because you can't be lonely if you have that kind of imagination and enjoy spending time in it. The made-up worlds really are a way of bringing order to the real world and for me that past year has really required a lot of imagination. It really has and it's part of the reason why I started doing some other things, it's part of the reason why I started a website where it could just be about the writing that people bring and having a communal conversation. It's part of why you want to write stories that encompass a broader world and talk about more than what you do on one network. It's part of why I got excited about the idea of documentaries. I really wanted to start thinking about how to feed my soul in other ways in terms of storytelling and how to get there in a way that felt exciting. You don't ever want to have that feeling die and you don't ever want to have those moments when you think to yourself, "I don't want to do this anymore." It's the worst feeling ever to feel like the well is dry and I don't have anything to give. To me finding ways to feed that well are really important, and if sometimes that's doing nothing, sometimes that's checking out of everything and sometimes that's throwing yourself in as deeply as you can. [00:28:21] David: I couldn't agree more. I think that the biggest fear is getting to that point where you feel like you don't have any more to say. I think a life and living is really about continually relearning, continually just when you think you know it I'd love this idea that you just then throw it out and then start again. I'm constantly trying to find ways to do that with my team. We're also working in publishing much more, we're trying to bring knowledge awareness of the built environment around the world. I've very much deeply invested in that. We did a lot of work in Africa, we're doing a lot of work in South America and the Caribbean right now to try and bring more visibility to that beyond being holiday destinations and trying to really dive into things that stretch us and move us past our comfort zone. I've always been somebody who also has no sense of loneliness because I think as a young child my mother used to say that I was the kid that was always under the chair or the table making up sort of scenarios and doing things with paper and talking to myself. I think at first I probably looked like I was mad, people thought you were a little bit crazy but actually that was the fuel. When I was making those circuits that allow you to imagine a world that could be. [00:29:42] Shonda: I love that because I was the kid in the pantry playing with all the cans. I made a kingdom out of them it's the same thing. [00:29:49] Thelma: Well that's how I'm preparing for this I imagine myself as a character in one of your shows living in a world designed by David and I thought of that like, what would it be, what would that be, what could that be? I think even before we open up to all of you for questions both of you also have created an incredible way in which you've used your platform to bring light to other issues. David you just mentioned, but I want you to speak a little bit more specifically about your book, about African architecture. Where you took on what was the decades-long stereotypes of a lack of a sensibility of what the African and let's say that the 54 countries of Africa. [00:30:36] Thelma: What that built environment look like, what how to understand it, that we didn't have a document none at all and you created that. Can you talk about why you did that? Shonda I want you to talk about how you've used your platform around issues and ideas and really using your ability and storytelling, but also in creating that storytelling towards the opportunity through Shondaland, et cetera. David. [00:30:59] David: For me it was just that I realized that I was fortunate enough to have a real set of images of the continent. As a young kid I'd been to 12 countries on the continent before becoming a teenager. For me, it was a real place and I grew up with a father who was talking about the boom of the independence worlds. Africa is this independent new continent that was emerging. I had a very Indian going to Nairobi seeing the tallest towers, it was Metropolitan I grew up in the late '60s, '70s. Then suddenly coming to Europe and suddenly realizing Europe in the US and realizing that people just had fictional images that there were no real images for them and that actually all the images of the continent were fictions and actually we're not real and had no relation. It was another planet for me when I heard people talk about it. When I was teaching at Harvard, I got all my students and myself to make a show about half a dozen cities and I just presented them and everybody the departments and all the students were just shocked because they just had no idea of the context. I said, "This is just a survey from East Africa to North Africa really going across the different geographies and that they're these incredible geographies Savannas which are like alluvial flats where volcanic action happened, where civilization started, the creator of mankind. The forest, the Hills, the mountain cities of Ethiopia all incredibly unique places that have incredible history going back thousands of years and no imagery". I just thought I can't handle this. I couldn't handle talking about it and I just said, "Okay, I'm just going to during my practice I would have my team always arrange for me to just fly to a country and I'd go by myself and I would hire a taxi driver and I would set up a deal. I tell him, I want you to show me every part of your built environment and I would keep paying you until you exhausted every possible corner of your city and when you did, I'd sum up and not give you the total". That was a way for me to avoid also a tourist or a guide editing the view of the city, but to let somebody just have an incentive to continually just, it could be like for two weeks or a month if they felt they could do it, it's just show me everything. I just kept photographing and it was about just using digital cameras to just photograph like crazy and I have 40,000 images of the continent, the beginning of the century and it was just about just shooting that and in a way the book has maybe 4000 images. It's a smart snapshot but enough to give people an idea of the poverty and the wealth. The beauty, the trauma the potential and that was important to me to have and to show but also important. I suddenly realized for a lot of people who are interested in both environment, maybe don't have time to know and see them that the world didn't produce images that allowed them to see it. [00:33:57] Thelma: What inspired Shonda land? [00:33:59] Shonda: I was going to say that's amazing because it's very similar in the sense that you are in this country and you realize by watching television or what people say about television or what people say about people of color or about women that they have no idea what reality is. They've been seeing something that's completely untrue. For me it was about, well, here it really is. Let's show people as they really are versus this very strange, very false imagery that we're supposed to be making people seem like in this strange perfection that you want them to have. My favorite was somebody said there are no middle class black people and I just didn't even want to say that but they were serious because they hadn't seen it on television except for in one show and they thought that show was totally fake. It was really disturbing to me that there was this idea of that and if somebody thought that, that meant that some kid who was of color, who was living someplace and that was not so great didn't think it was possible. That's disgusting to me and that's some young women were growing up thinking that they can only be girlfriends and only look a certain way and way a certain amount to be valuable to anybody and that's disgusting to me and it just couldn't work. That's what this shows and that's part of what ended up being part of the shows in terms of how we cast them and what we put in them, but it also ended up when we did the website and it was really about writing. I was like, we're going to have every kind of voice in here talking about things and people will agree and they won't agree, but at least you have heard from everyone and that'll be interesting as well. [00:35:36] Thelma: Great, thank you. I want to open it up now for questions. And if you raise your hand, there's someone with a microphone. I'm looking for the microphone, here it is. Why don't we start right over here to your left there's a hand, great. [00:36:12] Audience 1: As somebody who's done a lot of work also around Africa and changing image of this is really 54 countries and not one country. I was wondering with your office in Ghana and Accra if you could elaborate a little bit more about your current work in the continent and where are you focusing on and eventually what issues? [00:36:31] David: Thank you. We opened an office in Accra and we are very much focused. One side of our work is very much about working on the continent right now, because I think that the continent right now is that this place where with the advent of technology and the way in which the built environment is changing, they need tools and teams that can help them reimagine a future which is not enough necessarily about mimicking. A future that was mapped out by the idea of a Western city. I think that requires a lot of intelligence and a lot of team. What I'm very interested in doing right now is we're based in West Africa and working predominantly in West Africa in Ghana specifically to think about planning, because as the cities are exploding with population the cities were designed for three, four million people and now they have 10 or 20 even. How do you change these cities? How'd you retool them for the future? How do you think about smart growth and how do you think about making sure there's enough entropy the look what I love right now. Entropy within the culture that it can actually be embedded into this growth that it's not just swept away by just new systems. This is a really tough thing, it's not something that is easy to do and it's something that is also incredibly exciting. One side of the work for me in Africa is less about building objects and more about hoping to make urban space and that's really powerful for me right now. [00:38:02] Thelma: Other question over here. [00:38:08] Audience 2: Thank you very much as people who have the opportunity to redefine a culture in a way, the way that we interact with our own realities. I'm curious to know about a time when you may have challenged your own preconceptions or views about life and a pivot point perhaps in how you perceive your own realities. [00:38:31] Shonda: Thank you. Definitely in terms of what narratives we tell, you have to stand in the shoes of everybody in order to tell a story effectively and to tell it well. There have been times when I have stood in writers rooms and said, "I really need us to tell this from a Christian conservative perspective" because the story you're telling you're just preaching to your own choirs and you're patting yourself on the back. Let's look at it from a different way because that way is as valid, somebody else's living that life and their way is as it valid as yours. That has been really powerful for a lot of people, not just for the christian conservatives watching the show but for a lot of people who've watched it, who never thought of it that way. This divide that we're living in right now is so sad to me because nobody's trying to think of the other person's perspective at all. [00:39:28] Thelma: This side over here the striped sleeve. Thanks. [00:39:35] Maxine: Hi, am Maxine, I work for NBC Universal and my question is for Shonda. Something I think about a lot or we think about a lot is how the demo on traditional television has aged up and with all the changes in consumption and also with younger generations consuming very differently, mobile, shorter formats. Can you talk a little bit about your move to Netflix and how you might think about, if it affects how you story tell, and how you think about different generations potentially? [00:40:14] Shonda: For me, it hasn’t had any effect. I have not spent a single moment of my time ever thinking about ratings or any of that stuff, because then I couldn’t do my job. Then you are making ads, I think if you are gearing it towards an audience that way. I’m just telling the stories that I think are interesting. Our shows are incredibly popular on Netflix, and they always have been, and I happen to think that on network television. The problem with network television is how you are measuring network television now, not what’s on network television, or who is watching it. I don’t think the audiences are aging up. I just think how you are measuring who is watching is a problem. I really do believe that, because I have lots of conversations with people who watch our shows all the time. They are just not watching it on Thursday night at eight o'clock during this particular time. To me, it’s just a different world I think. [00:41:06] Thelma: In this side, right down here. In front, yes. Oh, I think it went. Sorry. [00:41:15] Audience 3: Hi. My question is for David. First off, I was just wonderful to listen to you both speak. I’m an interior designer and you mentioned that there are no neutral environments which I think is a really interesting concept, and that you said that inspired you early on to uplift. Can you speak a bit more about that, and specifically, not just prison to church, but what does that really look like in terms of urban development and how people live today? 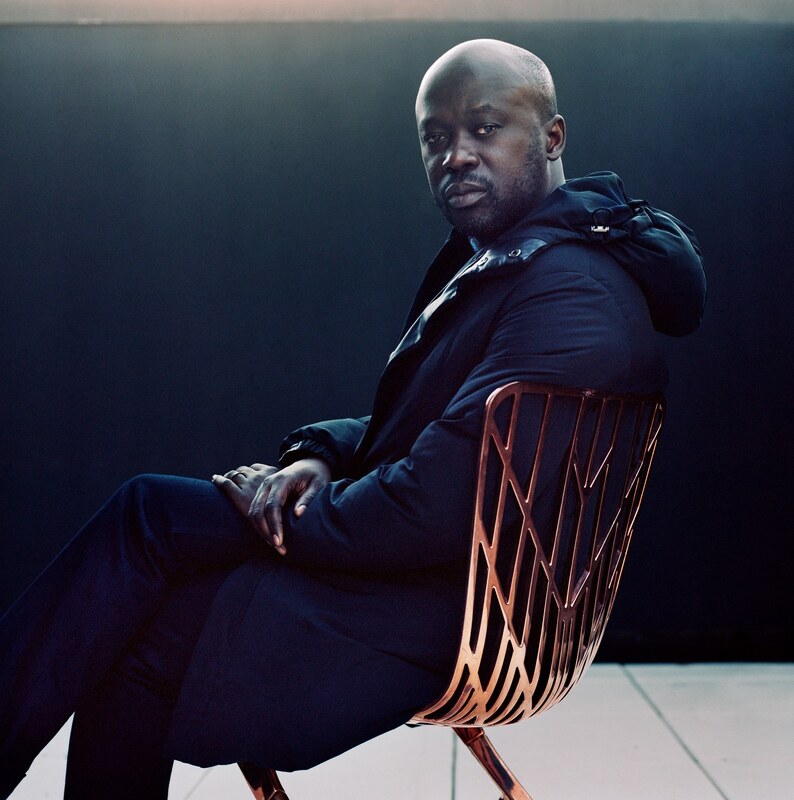 [00:41:44] David Adjaye: Okay. It’s a very, very big subject. I just think that to give a potted history. I think that the world was made with a set of codes that were to do with collective memories and collective understandings and cultural understandings. Probably, the 20th century with industrialization changed everything, because you could produce anything anywhere, anyone could have anything. What has happened is that, we have got a standardized world from Hong Kong to LA where people can have almost the same sort of things. What that has done for me is that, it neutralizes and sanitizes the specificity of places and the relationship to our cultures. What I’m interested in is, trying to fight to reclaim a specificity again, because I think it’s our innate human nature to have and to want to have more-- I think our disengagement from the built environment is problematic, because we’re sentient beings, we feel we’re emotional and we’re affected by things. The way in which the layers into our psyche, and how we give that, how can layer that to our children, and how we build generations is profoundly important. If we level it to stuff, I just get very nervous to get into a deep philosophical conversation. [laughs] My work is about placing things in specific places and context and saying, “This is about this,” whether it’s casual interior for a café or a museum. I’m just deeply invested in trying to find methodology, and meaning in that. Storytelling, for me, it has become a way to transcend what industrialization has done to specificity. Is that helps? Okay. [00:43:29] Thelma: Can I ask the middle microphone tender to pick a question on this side, please. Yes, just out of fairness. [00:43:38] Audience 4: Yes, I love fairness. [00:43:49] Thelma: Okay, thank you . [00:43:53] Audience 5: Thank you picking this side. My question for Shonda is-- for so many wonderful shows you have done. Does your brain always gravitate towards the narrative of telling it in a TV show format, especially with serialized nature of this Golden age of TV now? Do you ever have an idea of like, “Oh, man this will be a great for a film”? Do you have any interest in getting into the film world, or I guess what separates the two for you? 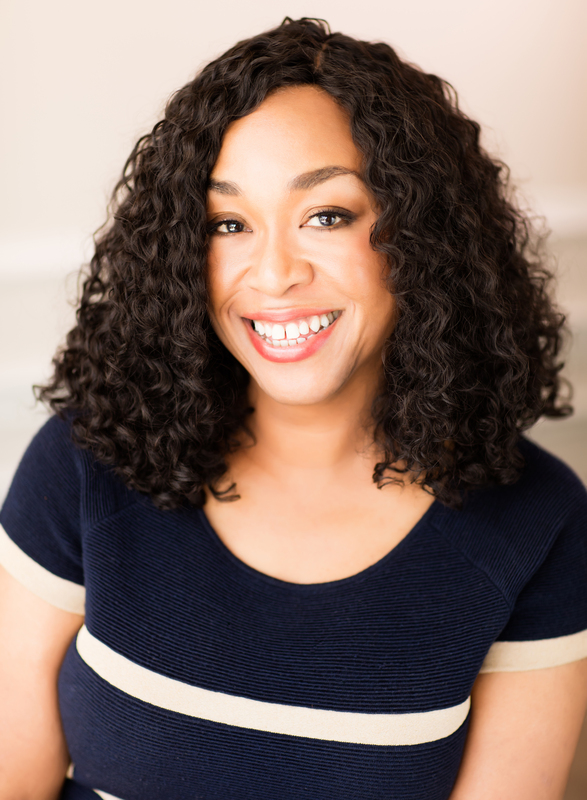 __ [00:44:27] Shonda:__ Well, I spent the beginning of my career writing movies. I wrote the brilliant movie Crossroads, starring Britney Spears. Very, very good. I also wrote, Princess Dairies 2, but honestly movies are fun. They are very fun. I find them less exciting for myself simply, because the movies I was writing, there is a limited character development. There is just is and when you are not to down to just the movies themselves, because some people who were teenagers, when they came out are very fond of them, but there is a limited character development. I think movies can be very exciting. Movies can be very profound. I also miss-- You write for something that happens for two hours and you never see those characters again. For me, that’s not as much as fun writing. Writing at show is like writing a novel. You get to spend a lot of time. You get to grow people over a time. You get to see who they become and they change. What I don’t necessarily love about television is necessarily the rules of network tells how to make this many episodes, and you have to keep this character for these many seasons, because there is a contract and da da da. What I love about the idea of not having to do it with so many rules, and that science is that, you just get to tell story. [00:45:53] Thelma: Thank you. Unfortunately, we don’t have any more time for questions, but I want to ask both of you. If you’d leave this audience with some of what you are thinking about right now, that they might be able to take back into their own work, into their own lives, into today with them. [00:46:10] David: I think I want you to end. I’ve been really open and clear about what I’m thinking about, but I just want to say that, you should learn and really savor the qualities that make places. I think it’s we’re so trained to just look at tourist things and to look at things elsewhere. I just think that there is just incredible character when places great their own patina and their own lives that are really very powerful and moving, and actually, are very important to the layers that make who we are. Is that me? That the layers that make who we are. For me, sometimes things that seem very roost and simple and sometimes irrelevant can somehow have the most profound effects on our creativity and identities. I urge you to observe the world with a wonderment of a child, and to try and learn from it, and not to be judgmental of it, but to see what it does and to try. [00:47:23] Shonda: I’m very obsessed right now at the way the arts connect to one another. There is a story told in a painting. There is a story told in a building. There is a plays that nobody spends any time going to see. There is concerts going on all the time. The arts are in danger right now. It feels like watching television is grain that you should get up and leave your house and go support the arts for real. [00:47:56] Thelma: I hope you all would join me and thanking David Adjaye and Shonda Rimes.